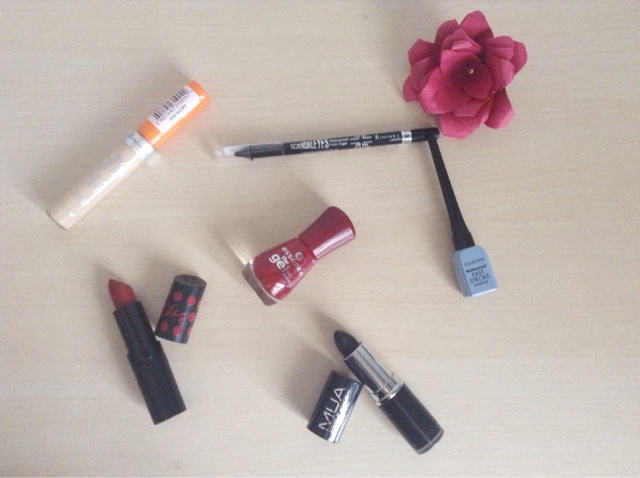 I'll start of with the black pencil eyeliner that I got the other week. It isn't really a new buy for me as I've been using the Rimmel Scandaleyes liner for a good couple of years now, and has been my go to waterproof liner. It's a drugstore brand meaning it isn't to expensive but it still stays on my eyes all day and doesn't run even when my eyes are watering due to something like hay-fever or because the cold wind is blowing in them (I always seem to have watery eyes). Though I do have the struggle of sharpening it and never getting a point again so find it hard to do wing liner with it, but that could be because my eyeliner sharpener is not the best. 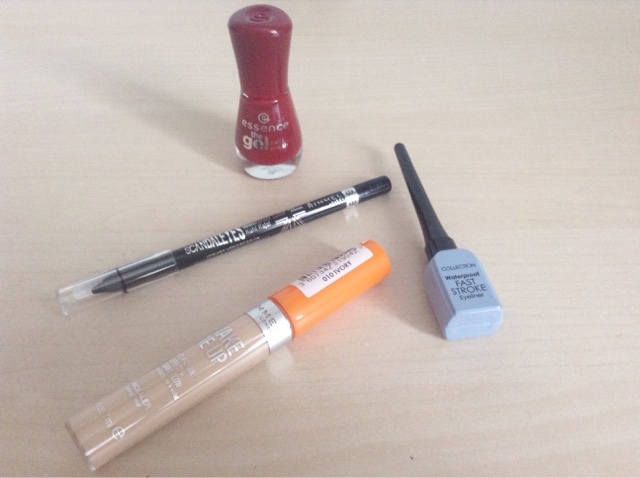 Recently I also got another eyeliner this time a liquid one. Ever since I started wearing eyeliner I've always used a felt liner eyeliner where people used liquid as I have a shaky hand and I find it easier, but as we just had Halloween I kind of need the liquid one to use for face make-up, so though I don't know if I will use it again it's there is I feel like being adventurous. From using it over Halloween I can tell it's a good eyeliner, I picked up the Collection Waterproof Fast Stoke one, however I haven't worn it for that long of a time so I can't give a good judgement on that. Pretty normal one, but the Rimmel Wake Me Up concealer was another purchase from last month. This is my favourite concealer! It gives a good amount of coverage with out looking heavy and cakey. Though I have a feeling most people know about this product so there really isn't much I can say about it as quite a few people already rave over it. Anyway, I've been using this concealer for years now and I would definitely pick it up again and again. I've mentioned the Essence nail polish collection before on this blog (you can find a review on Essence here) and since we are well into the Autumn months I felt like I needed a darker colour in my collection of nail polishes as they are mainly pink, which is weird as I never normally wear pink. This one in particular is slightly more of a red when put on my nails than other darker colours I've had in the past, but I love it anyway, and I find it kind of suits my hands as they're so pale making the red stand out even more. If you're looking for a cheap but good nail polish I would definitely recommend this. 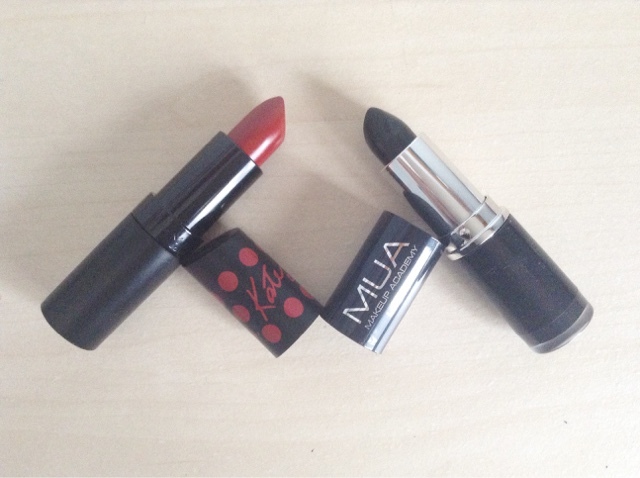 Finally, I can talk about these two lipsticks. Up till now I haven't owned pretty much any lipsticks apart from maybe you got in those gift sets when you were younger which weren't really the best and a purple MUA one. And yes you all may gasp and stop in shock but I didn't really wear anything on my lips apart from lip balm and maybe a bit of lip-gloss when I went out to parties. But recently I've been loving the idea of lipsticks and have so any reviews about the Rimmel Kate Moss collection that I persuaded myself to get one, this red one is in the colour 01, which though isn't the actual one people rave about it was the only one in the shop and it's on red which was all I wanted. After wearing it I can now realise why people love this brand, it gave off such a great colour and actually stayed on my lips pretty well which I find hard to find in a lip product. Anyway the other lip stick I got was a black one from MUA. To be honest I only picked it up because there was a 3 for 2 offer in Superdrug and I had the two eyeliners already and since Halloween was coming up I thought I might as well pick it up as I technically got it for free with the other two eye liners. I'm actually glad I got it as it finished off my sisters Halloween costume pretty well which makes me glad. For £1 this products is pretty decent and I will definitely be trying to use it in the future even if it is to fell tumblr or for a make-up look for this blog. 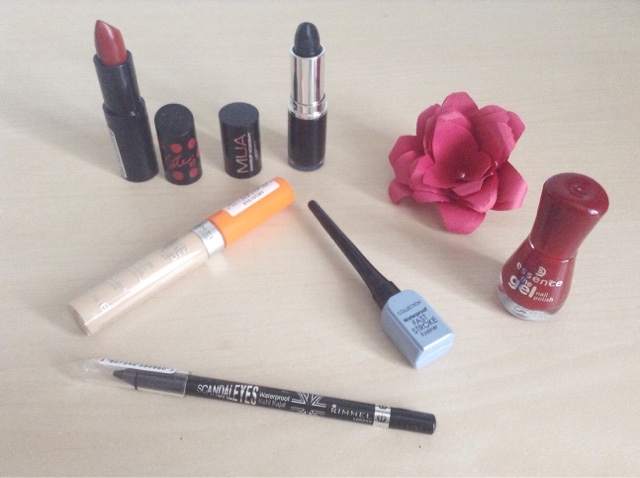 So, this is all my recent make-up purchases. If you have any other make-up recommendations comment the below, I love searching up new products and seeing if I will like them. Over to you, I was wondering if there were any posts you would like to see over the next few months? 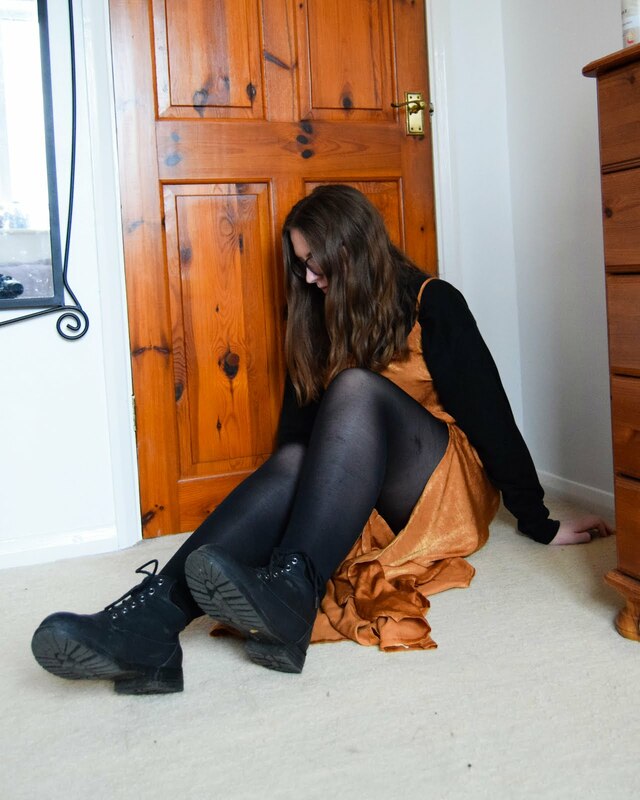 I've written this post so fast for a Sunday afternoon, I'm going to blame it on listening to Vixx! Who have you been listening to recently?